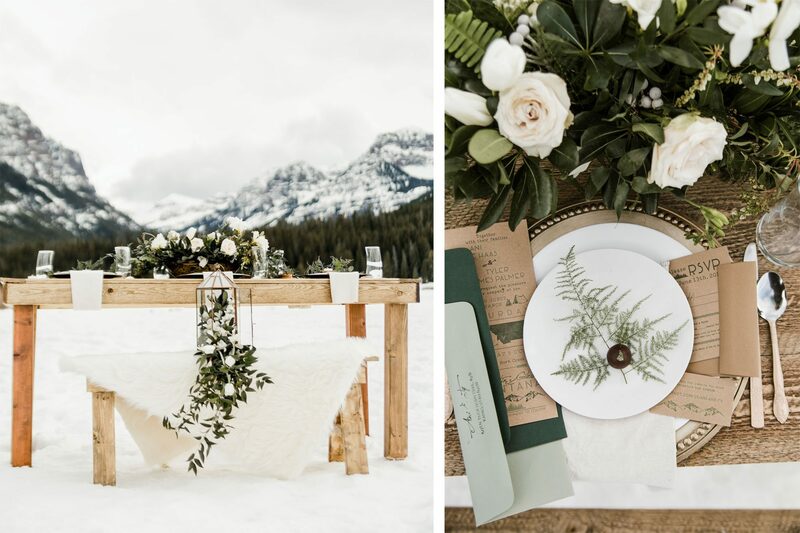 Hyalite Canyon, home of world class ice climbing, is the dramatic mountain backdrop for this Bozeman, Montana styled shoot. 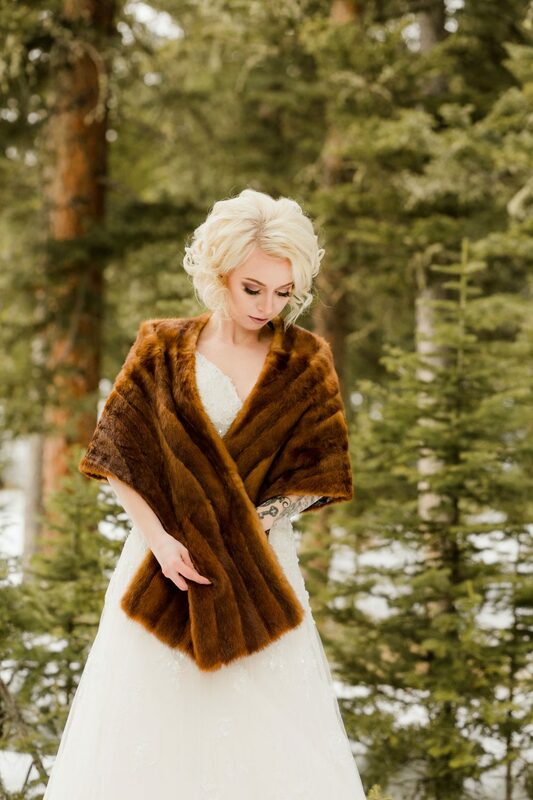 A beautiful bride wearing luxurious fur surrounded by snow and a play of light provided the most breathtaking images. 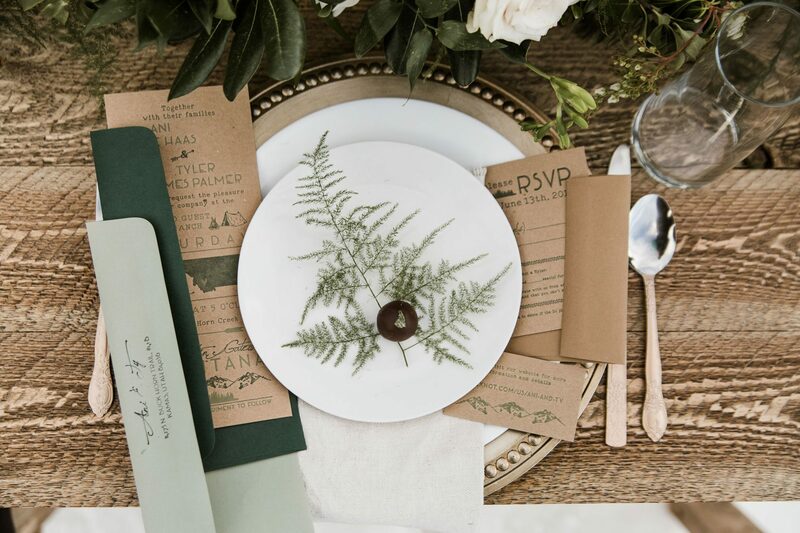 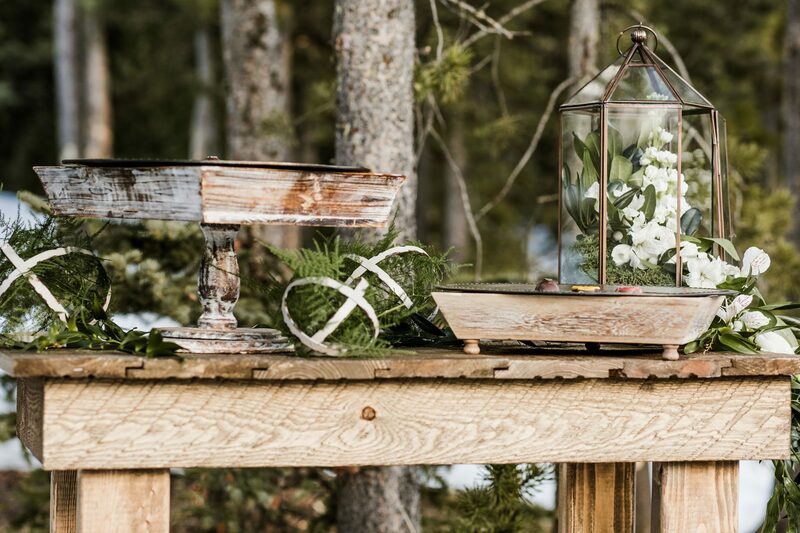 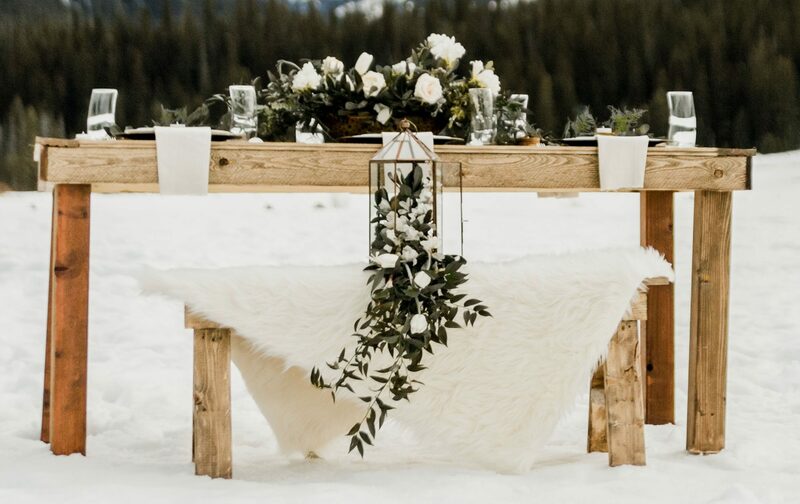 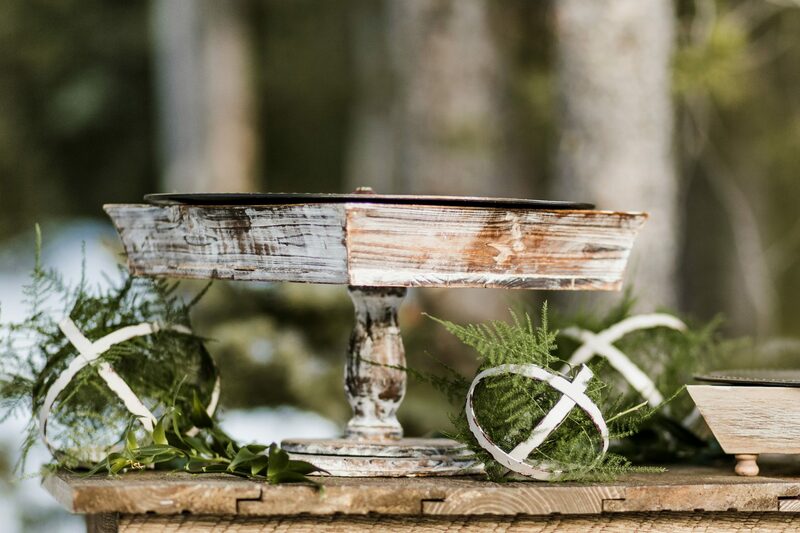 The wooden tables draped in greenery, white florals, and metal accents perfectly complemented the snowy forest landscape. 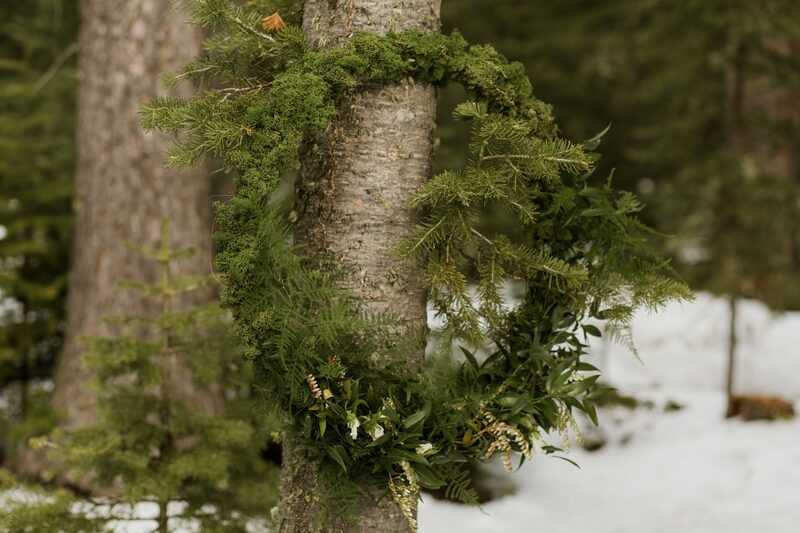 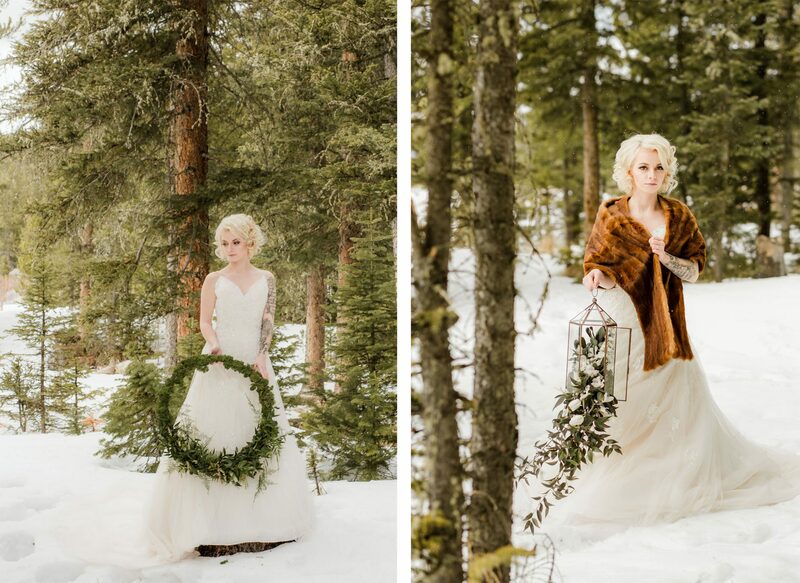 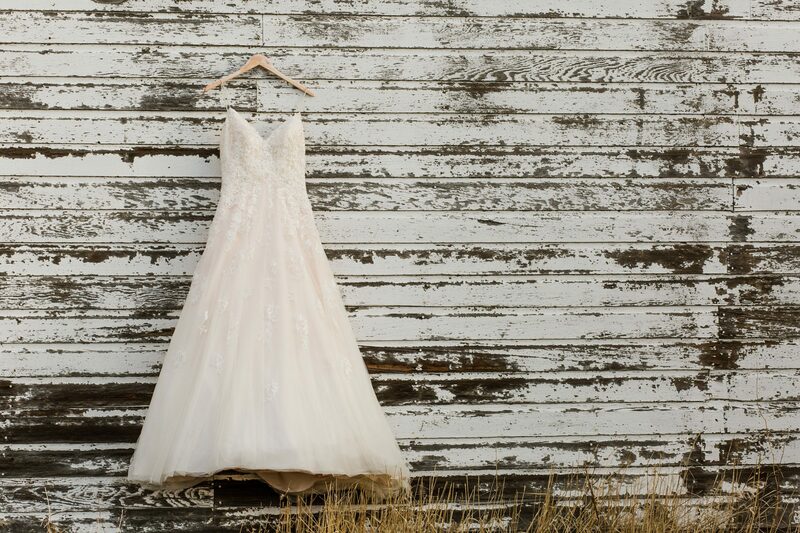 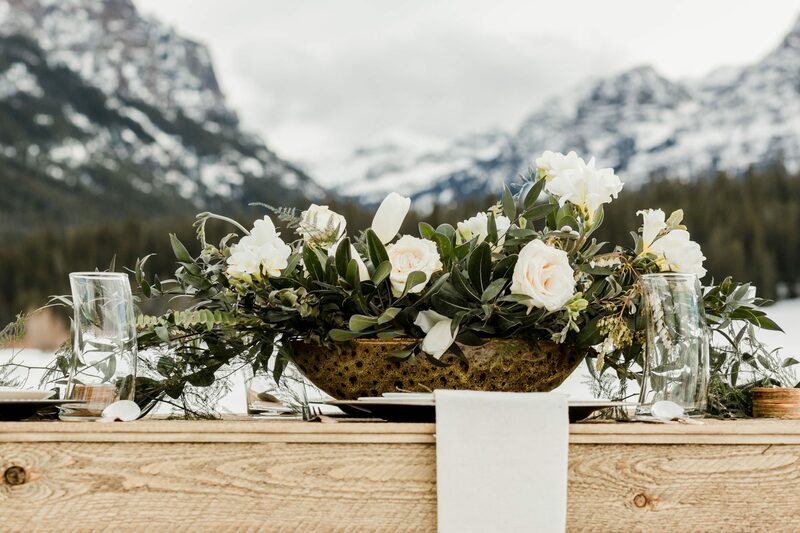 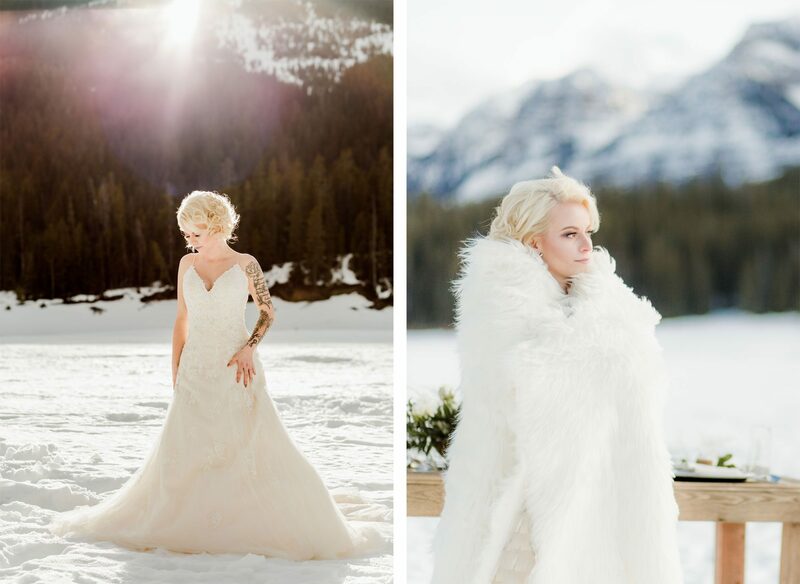 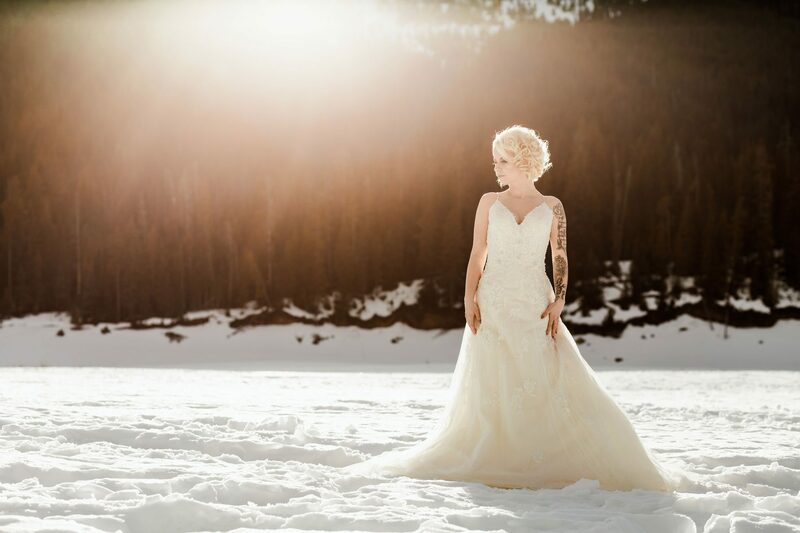 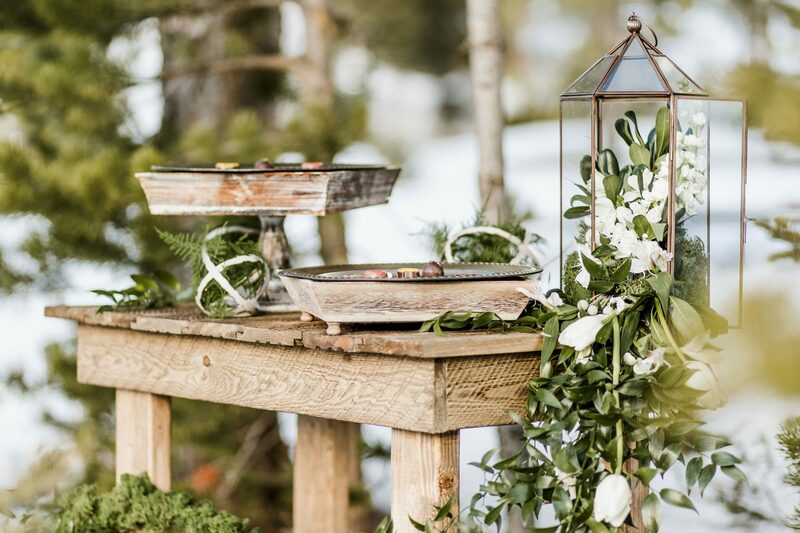 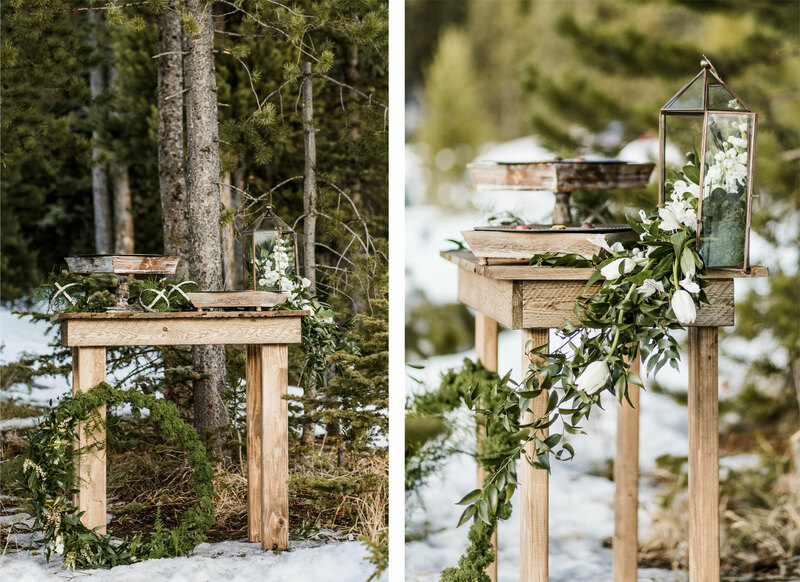 This shoot showcases the beauty of winter weddings in the Rocky Mountains. 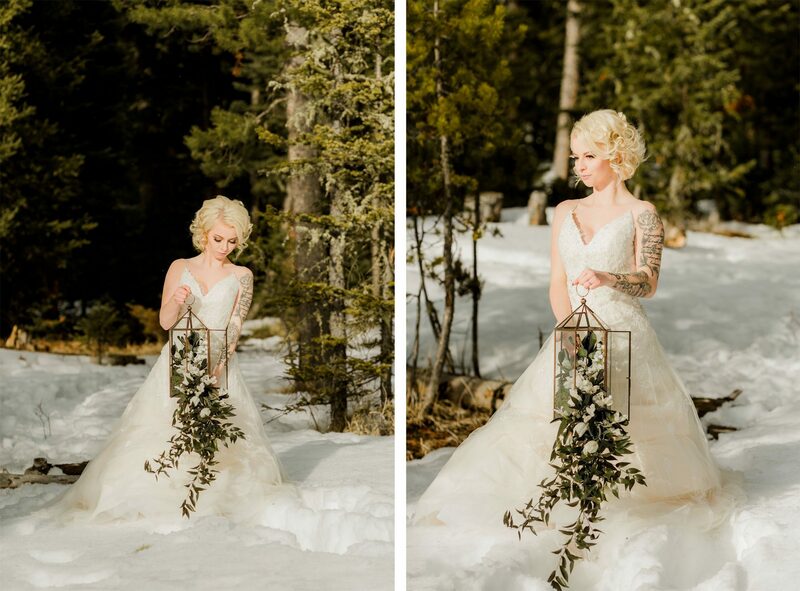 Our whole team thanks you for featuring our winter bride! 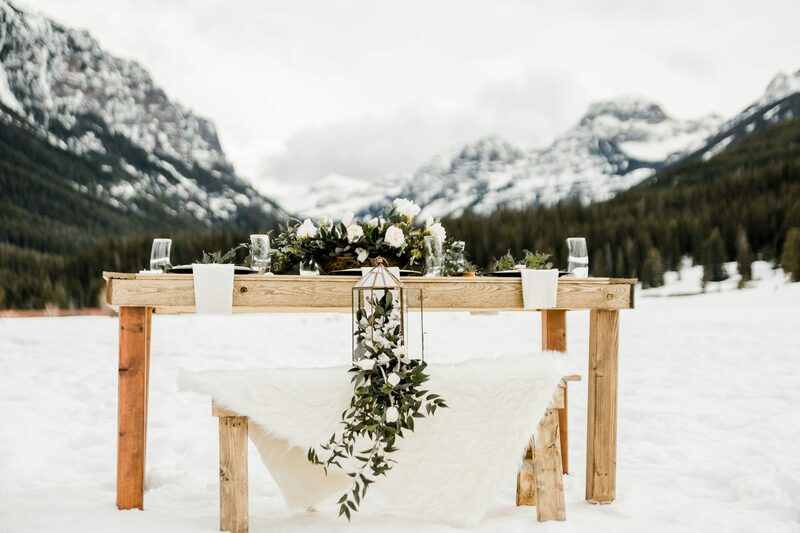 What an amazing place we live, and we hope it inspires brides all over to seek the natural beauty of the mountains when they plan their wedding!